We’re Your Resource to Shop Used Vehicles at Exclusive Prices! Welcome to Wholesale Inc.: As the largest vehicle wholesaler in the country, we buy and sell over 5,000 cars a month to the largest dealers coast to coast. 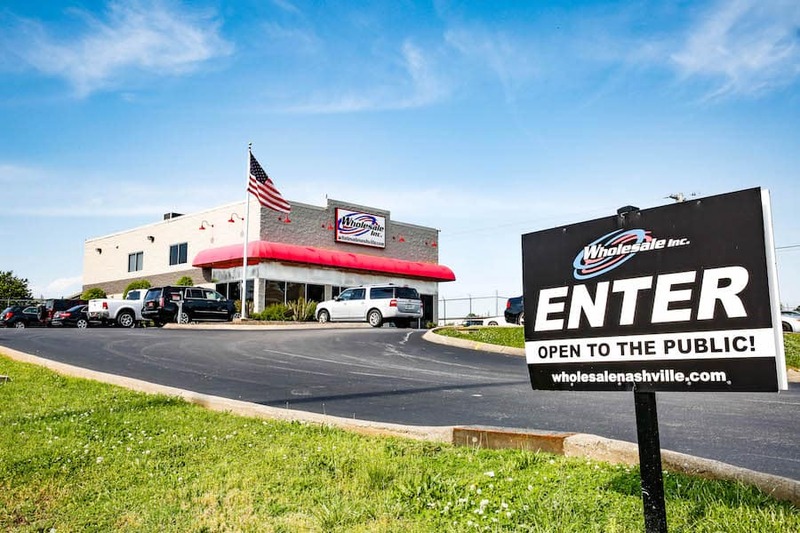 But, before we sell our inventory to dealers, we first offer our low-priced wholesale vehicles to the public with no dealer fees! From large trucks to small, fuel-efficient SUVs, we have something in stock to meet everyone’s needs. Whether you’re in the market for newer or older used vehicles, Wholesale Inc. has got you covered! It should be fun and exciting to shop for a used vehicle, not stressful and boring. For that reason, Wholesale Inc values your time and makes it simple to browse and shop used cars, trucks, SUVs, and more! Whether you’re looking for an Infiniti, Ford, Chevrolet, Jeep, GMC, Chrysler, Dodge, Nissan, or Subaru, we guarantee our inventory has something perfect for you. When you finance a used vehicle, it shouldn’t be a difficult process. Our Finance Department has years of experience helping customers with all types of credit history, and we’re here to work with your needs and get you one step closer to driving away in your vehicle! Simply fill out a credit application and let our auto financing experts take care of the rest! Wholesale Inc. is proudly powered by RumbleOn. As a publicly-traded top technology company, RumbleOn is changing the way we buy and sell vehicles of all kinds. Combined with the power of Wholesale Inc., we’re set to disrupt the country’s auto market and deliver a seamless, hassle-free experience to our customers.